I've been teaching through the entire bible in my class out at the prison, starting at the beginning with the book of Genesis. A few weeks ago we got to the book of Joshua. Joshua is a hard book. It's basically a story of war and conquest, of the tribes of Israel entering the Promised Land and eradicating and displacing the peoples living in the land. And throughout the story we encounter the practices related to cherem. Cherem (also spelled herem) refers to the wholesale destruction of all living things--men, women, children and animals--that God commands when the Israelites captured a city. 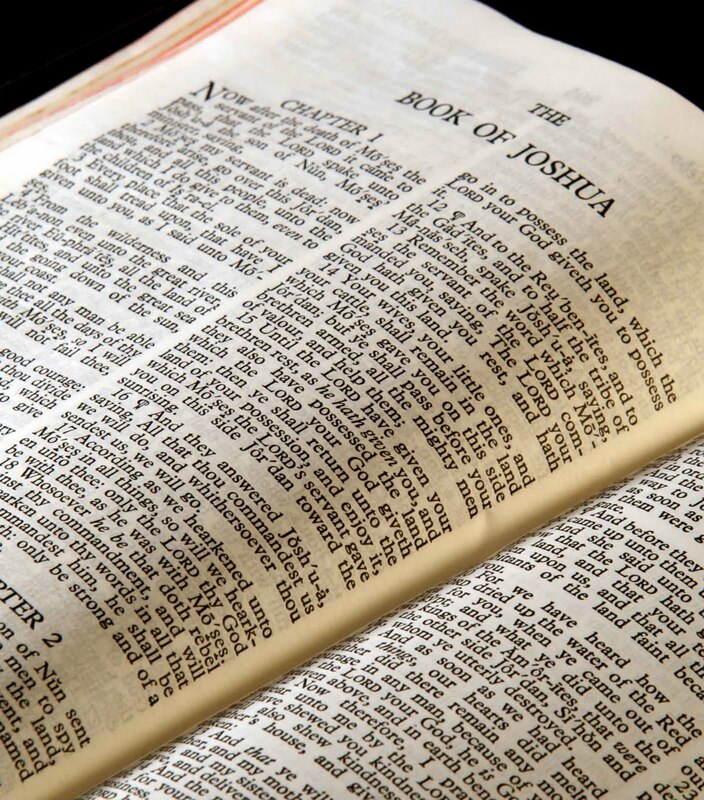 The word occurs 21 times in the Old Testament and most of those, eight references, occur in the book of Joshua. It's not too much of an exaggeration to say that the cherem texts are the most difficult texts in the bible and that their existence in the bible may be the single greatest reason why people come to reject the bible and the faiths built upon it. So what are we to make of the cherem texts? I've no great answers, but I'd like to share some thoughts on how the cherem texts might be read non-violently. Yes, you read the right. This is a post about how to read the cherem texts non-violently. To set the stage I'd like to suggest that cherem should be viewed as a part of a theodicy, as a way Israel explained exile to herself. Most scholars believe that Joshua was written during the exile, as a part of the Deuteronomist stream in the OT (along with other sources like the Priestly, Yahwist and Elohist). And if that seems to be a bit too historical-critical for your tastes, Joshua is aware of the Divided Kingdom (e.g., both Judah and Israel are mentioned in 11.21, a distinction that would only make sense after the Divided Kingdom), the fracturing of the Davidic dynasty, which eventually culminated in exile. So how is Joshua a theodicy? Well, the author of Joshua looks back and describes how Israel, at least at the beginning, had an absolute hostility toward idolatry. In the book of Joshua this hostility--of which cherem is the most extreme example--is a religious, ideological, and national ideal. The people, of course, object to Joshua's prediction. Still, after all those cherem texts an ambivalent note is struck at the end of the story and, given the hindsight of exile, Joshua's words are found to be prescient. The people don't keep up the antipathy toward foreign gods--an antipathy embodied in the cherem commands--and they turn away from God. And as Joshua promised, exile soon followed. The point here is that cherem is working within a theodicy. Specifically, if Israel would have kept up her antipathy toward idolatry--of which cherem played a part--then exile wouldn't have happened. But Joshua is more than an explanation about the origins of exile. Joshua is also viewed as a sermon, a sermon being preached to a people living in exile among false and foreign gods. And it's message seems to be crystal clear: Remember Joshua and the cherem! Be like Joshua and show unwavering hostility to these foreign gods you are living with! That is how the story tends to be interpreted, an interpretation that leans toward rather than away from religious violence. But I'd like to flip that interpretation on its head. Okay, with all that as background let's move into my argument. I'd like to start by suggesting that cherem was a logical outworking of the Levitical purity tradition. Cherem wasn't just warfare. Cherem was a form of religious sacrifice, a holocaust in particular. Cherem was a burnt offering for God. Why is cherem the logical outworking of the Levitical purity tradition? As I describe in Unclean the purity, holiness, and sacrificial impulse of the Levitical tradition sets in motion a process of dehumanization. To be a holy people "set apart" creates an ingroup/outgroup psychology that eventually leads toward outgroup hostility. Cherem--killing outgroup members because they are impure and unclean--is simply the endpoint of that trajectory. The purity/holiness impulse logically leads to violence. Basically, holocausts lead to Holocausts: the sacrificial logic of Leviticus leads to cherem. Cherem--eradicating the pagans, offering them up as burnt offerings--was an act of purification. Having noted the connection between cherem and the Levitical tradition we can now turn toward a non-violent reading of the cherem texts. To do this there are two moves we need to make. My point here is that the bible gets there first, beats modern readers to the punch in criticizing cherem. Though burnt offerings are a part of the OT, their theological significance is also strongly questioned and rejected. I think this affects how we read the cherem passages. There is a stream of biblical material that argues that God doesn't desire or require burnt offerings like cherem. And as I argue in Unclean, in the gospels I think Jesus aligns himself with this stream of material in his teaching that God "desires mercy, not sacrifice." Noting all this is important, but it doesn't yet get us to a non-violent reading. Let's move on to the final observation that gets us there. Recall again that Joshua was written during the exile. And as I described above many have read Joshua as a sort of cautionary tale for those living in exile among foreign gods. The message many presume Joshua is preaching is that during exile Israel should follow the example of Joshua showing a cherem-like hostility toward idolatry and their pagan oppressors. Basically, Joshua, with its stories of cherem and military conquest, is a heroic story to inspire religious zealotry. But I wonder if that understanding is correct. Having recently read the book of Joshua I was struck by the following: Cherem doesn't work. That seems to be one of the take home points of the book. Cherem, as a burnt offering, had the practical goal of keeping Israel pure and separate from false gods. One way to accomplish this purification, obviously, was the eradication of pagan neighbors and their idols. 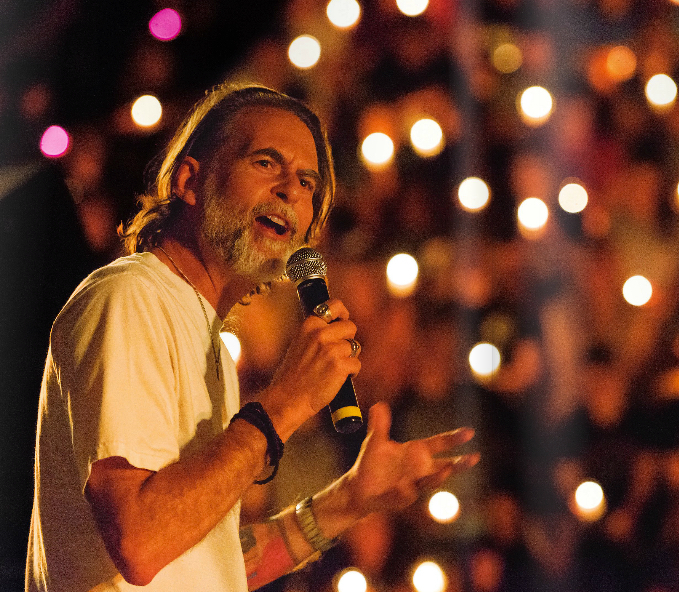 It's hard to be tempted into idolatry if those idol-worshipers no longer exist. But at the end of the book Joshua predicts failure. And the reader in exile knows Joshua was right. Cherem didn't work, it didn't lead to the purification of Israel. How come? For two reasons. First, as the book of Joshua makes clear Israel couldn't kill everybody. A cherem-inspired strategy of "kill them all" just wasn't practicable. And Joshua makes that clear. Israel wasn't able to make herself pure and "set apart" by violently eradicating paganism in the land. Israel couldn't use violence to religiously isolate herself in the world. Cherem couldn't create a social quarantine. At the end of the day, Israel was going to have to live with and among pagans and foreign gods. And what outcome does Joshua predict about how that's going to work out? He predicts failure and eventual exile. Which is exactly what happens. And I believe this failure at the end of the story creates a deep ambivalence about the practices of cherem read about earlier in the story. Basically, the ending of Joshua suggests the following interpretation: Israel's real problem, its deep problem, is a heart problem. It's not a pagan neighbor problem. Joshua seems, at the end of the book, to accept living with and among pagan neighbors as a given, as an ongoing reality, as an inevitability that violence won't ever change. Purity via social quarantine just isn't possible. It's as if Joshua is saying, "Killing our neighbors isn't going to protect or purify us. We are our own worst enemy." At the end of the story Joshua seems to argue that what is needed are hearts devoted to God, not pagan cities devoted (cherem) to God. As Hosea 6.6 states, what is needed are not holocausts but "acknowledgement of God." And on that score Israel fails. Is this a plausible reading of Joshua? Is Joshua a story about the failure of cherem? I think so. To see this let's try to get inside the head of the Jewish reader reading Joshua in exile. Now imagine handing the book of Joshua to these hate-filled people, a people itching to kill the pagans and dash their babies against the rocks. What do you think they would take away from the book of Joshua? That cherem is a good idea? Or a bad idea? Yes, cherem is in the book. Which, given a superficial reading, suggests that Joshua is pro-cherem and, thus, a book that fans the flames of religious violence. But that reading fails to take into consideration the failure at the end of the book. A failure that produced the exile the reader is now experiencing. And I wonder, by the end of the book, would the hate-filled reader really walk away with the view that the solution to Israel's exile problem was more cherem? Or would the reader come to see and accept the conclusion of Joshua, that living with and among pagans is inevitable, and that faithfulness to Yahweh, with and among pagans, rather than violence, is the only way to holiness. Basically, cherem and holocausts didn't prevent exile. But, ironically, "acknowledgement of God" while living with the pagans would have. And if that's so, what's the final lesson of Joshua? Imagine internalizing that message in exile among the pagans. I like where this ends, but I think it gets there by some careful elisions that I'm not quite comfortable with. The exegesis never quite grapples with one of the toughest parts of this: that the cherem is reported as being a direct command of God. To get to the end you want (and I think it matters that this end is also desired as a matter of reconciling this Scripture with other parts of Scripture, not only because your conscience demands it), my preferred route is to introduce the notion that the intention of the human author and the intention of the divine Author may not be identical; that while the Scripture was inspired, it is also a form of condescension, and the human author saw through a glass darkly. These notions are deeply rooted in the tradition, and you'll find even hyper-conservative Calvinists and Catholics acknowledging them. But a funny thing happens when they are applied here: from this vantage, it becomes possible to suggest that God, as the ultimate author of the story, seems to be using the device of unreliable narrator to tell it. And there are obvious hints that these narrators aren't entirely reliable throughout the whole Bible: Genesis 1 and 2 obviously contradict each other if taken literally and precisely, and the 4 Gospels imitate this pattern. You don't have to get far to see this device, which is repeated again and again, with my favorite example being Ezekiel's false prophecy of Tyre. Part of what I find remarkable about all of these examples is that no one edited them out, although they seem quite embarassing...now that does seem inspired to me. With that in hand, I think you can get to where you're going. And while it might seem a bit edgy and even "post-modern" I think that style of reading Scripture is a direct result of accepting ancient and highly conservative notions of condescension and seeing through a glass darkly, and comes from a direct ... even a plain-sense reading ... of the text, starting with Genesis or the Gospels. Everything new is old again. I'd add that the "unreliable narrator" concept also fits with the pattern of Scripture: God uses a broken, unreliable people for his purposes. If we don't go that route (or a similar one), we are still left needing to assert that God actually commanded this slaughter, and this is hardly made better by the fact that the slaughter could never achieve its purported purpose. It suggests that God commanded atrocities just to show us that atrocities wouldn't work. On the other hand, if this is an example of our repeated failed attempts to fully understand God, I think we get some breathing room. I like this argument a lot. It complements what John Howard Yoder does with Jeremiah 29 ("seek the peace of the city where you live"). If we think of Jesus as an interpreter of the Bible's main story, we could say he makes the same point: no more will God's promise be channeled through traditional kingdoms and states but rather through countercultural communities in diaspora. "I wonder, by the end of the book, would the hate-filled reader really walk away with the view that the solution to Israel's exile problem was more cherem?" Given the near-term responses of Ezra and Nehemiah, I would say so. I cannot think of any stronger indictment of cherem than the fact that the Book of Joshua is followed by the Book of Judges. The telos of cherem is not the ideal society, but rather Israel turned in against itself and living in a manner not too distinguishable from the Canaanites. Of course this required them understanding Yahweh as nothing more than just another localized tribal deity. Sometimes issues are just over my head and I can accept that :) I still love reading your blog. Sometimes I can get a little wonky. I think some of them did keep going in that direction, through the Maccabees, through the zealots of the NT all the way to AD 70, and beyond. But it also seems that there were others in Israel--Jesus in particular--who took the failure at the end of Joshua as diagnostic of something deeply wrong with the holocaust stream of thinking coming out the the purity/holiness tradition of Israel. To repeat what Dan Heck said, this post is theologically helpful to say the least. However, the book of Joshua claims God's approval of the cherem. If we read this as a theological disapproval of the cherem, does God disagree with his own command? In "Jesus and the Victory of God" N.T. Wright funnels everything down to the failure of Israel at the heart level. Richard, if you haven't read Wright's "big books" - the Christian Origins series - I would strongly recommend them to you. I love your framing of Cherem as part of a theodicy and the insight that the prophets' calls for mercy/justice rather than sacrifice serve as an internal biblical critique of Cherem just as much as of the Levitical codes. Superb stuff. To perhaps muddy the waters here a bit, I'm not sure we should see Joshua as exilic literature. It is deuteronomistic certainly. Probably finalized in exile, but I think the root of the book is Josianic prophecy. That is Joshua is royal propoganda for the House of David promoting revanchist reform and the reunification of Israel and Judah against their idolatrous neighbors. 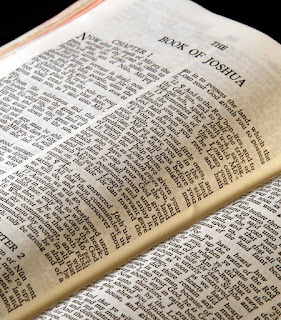 As such the phenomenon of the Bible retaining layered internal argument in the text is present not just between Joshua and the prophets, but within Joshua itself. Parts of the text (maybe the bulk of it) DO argue for Cherem, if not as practical politics at least as idealized rhetoric to fan flames of intolerance. I think of some of the more poisonous forms of Zionism today. The most radical voices do espouse total intolerance of palestinian presence in the region (and vice versa). Though they hopefully never hold the center of power, their rhetoric serves to legitimize the more moderate/pragmatic forms of violent oppression actually enacted. In other words, Josiah might never have been realistically able to defeat Babylon/Assyria/Egypt and expel all foreigners from Israel and Judah, but using a national hero in this propagandistic way did serve to make his goal of revanchist reform more viable. What I think happened is that as the Deuteronomistic history was redacted and compiled in the exile, this piece of propaganda was picked up and it was clear that it was fatally flawed. Josiah's plan would never have worked. So they added the coda to the end, and some touches in Judges and elsewhere that changed the ultimate meaning of the text. It converted it from a document advocating total intolerance, to one where total intolerance is a doomed ideal - but an ideal that still had its supporter. After all, Ezra set about trying to enact some very Josianic style reforms shortly thereafter. Additional thought: I think this lends itself to a really interesting dialogue with Becker's concept of the Heroic Self-Esteem and Immortality Projects. Basically I think Cherem was a failed Immortality Project - the image of a pure and segregated Israel was destroyed by exile, and the Deuteronomistic literature is largely dealing with the aftermath of that failure. Where does our security come from now that the Temple has been destroyed, the House of David humiliated and perhaps eradicated, and the self-understanding we had of being a holy people under the protection of a powerful warrior-God completely shattered? There were multiple streams, yes. I merely think that the immediacy of Ezra's response and its apparent acceptance as the normative story of the foundation of Judaism demonstrate that any criticism of herem in the Deuteronomistic project was easy to miss. Our judgment of the Deuteronomists' belief in the historicity of both conquest and a conquest-era theology of herem will bear on our ability to believe that they criticized herem. I don't know what to think about that. The received wisdom, it seems, is that Judges shows the consequences of the failure to do herem. It is actually more nuanced than that: "Because this people have transgressed my covenant that I commanded their ancestors, and have not obeyed my voice, I will no longer drive out before them any of the nations that Joshua left when he died." Cherem fails because of idolatry. Incredibly helpful books and so well written. As usual. Dr. Beck, have you read anything by Eric Seibert? Seibert's latest The Violence of Scripture, is very helpful. "It's not too much of an exaggeration to say that the cherem texts are the most difficult in the bible..."
I think that's right, but also think that Galatians was Paul's attempt to place the tremendous tensions into a harmonious narrative. Recall that Saul was newly converted from murderous defense of the law to preaching the gospel. The Shema/Great Commandments demand purity of heart. In a sense the biblical ethnic/religious "cleansings" are a practical entailment of that: you can't hang with slackers--much less those who pervert the law--and lead a disciplined life. For those who view the law with "ultimate concern," Saul's murderous zeal was right. Cherem was right. So how did Paul reconcile the gospel with that? Same as you, in insisting that a lesson (defeat) be taken from what happens when we attempt to follow the law (including and especially purity?--I think so). Galatians 3.23 in various translations uses the terms "tutor" (NEB. ), "governess" (Phillips), "schoolmaster" (KJV), "custodian" (RSV), "disciplinarian" (NRSV), etc. to describe the role of the law. But it is the failure of the law to produce authentic purity of heart that the schoolmaster/disciplinarian teaches its charges. And it is precisely Peter's not hanging with Gentiles(when Jewish Christians were present) that prompts Paul's teaching about the freedom that comes with Christ. I think it's important to see the "entailment" (the schoolmaster's lesson) and its resolution in Christ, at least as Paul expressed it in the earliest Christian record. This is something that I have wrestled with for sometime now, and the conclusion I continue to draw closer and closer to is that not only is it okay to question a violent interpretation of theses OT passages, but that perhaps God expects it of us. I appreciate your pointing out that the Bible is a "story that turns against itself." 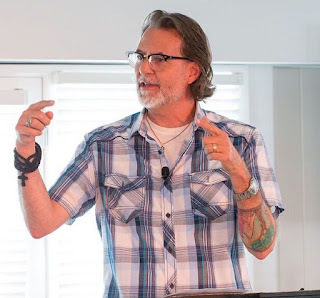 My biggest "aha" moment came when the pivotal passage of John 14:6-11, where Jesus is seeking to persuade his disciples (with words) that the Father really is like Him-- and His whole life was a portrayal of God. I find that I can no longer hold the two views (God who commands the slaughter of enemies and the loving of enemies) in tension, and It is refreshing that scripture itself calls it into question. I would like to focus in more on those places in scripture (the prophets, etc.) where traditional views/understandings are challenged and wonder if you have any recommendations. I think for starters I'll tale a look at your book, Unclean. "I find that I can no longer hold the two views (God who commands the slaughter of enemies and the loving of enemies) in tension"
That way to frame the issue surprises me, somewhat. From what I can see, it's not framed in the Old Testament as "Slaughter your enemies"--in other words there's no blanket permission or command for the Israelites to slaughter their enemies. There's no implication that it's acceptable to kill someone because they're your enemy. Note: I'm not saying that clears up all our moral discomfort with this. Dr. Beck, can you clarify your thinking on this? Is it that the books of Deuteronomy and Joshua (and somewhat indirectly Leviticus 18:24) are mistaken when they ascribe cherem to God's command? I deeply appreciate your reflections . As followers of the non-violent Messiah, we must wrestle with all violent portraits of God in Scripture. Yet, you're reading does require us to deny that God told Joshua to "slaughter everything that breathes," correct? And THAT requires us to do some deep rethinking about our understanding of inspiration, does it not? Blessings! Was the flood that God unleashed on Noah's generation an example of cherem? I think the account of the conquest in Judges is so very different from Joshua. In Josh a few towns are attacked in each border area. Syrian and Egyptian remnants (both empires depleted at that time) are either sent packing or face cherem. Very ugly. It is not an invasion and plunder. This action only stakes a claim which Judges then shows resulted in a long peaceful co-existence with Canaanites and great porosity (too much) of interaction. There is more talk than action in these texts. Nor can I go with the simply post-exile interpretation of history. This trend is myopic in my view, for example, if you look up all the texts about iron work, about six from memory, they all suggest a lack of smelting technology and consequently an expensive rarity of wrought iron products, so they can only have been written in or before the early monarchy (late Bronze early Iron Age for archaeologists). Deuteronomy clearly warns about localising Yahweh and syncretism, The experience of Egypt is sufficient explanation without having to shrink wrap the history into just an Exile. I realize I may be in the minority here, but looking at the scripture with a critico-historical lens, and by reflecting upon historical and archaeological insights, there seems to be no conquering of Canaan the way its portrayed in the Bible. I realize that archaeology and history change with evidence, but should the absence of such evidence weigh in on this discussion? I think it can to some degree. This is one of your bests posts ever, Dr. Beck! The implications of divinely sanctioned mercy trumping divinely sanctioned sacrifice among the various biblical texts themselves does require a departure from uncritical acceptance of a univocal revelation (despite the need for it in the royal consciousness). Kind of obvious when you allow your brain to accept that, and you realize the incessant gymnastics required to maintain the belief that the texts can be collapsed into a single entity. This is very helpful. I think it makes sense. I believe this advances the reading of Joshua. I will read the Book of Joshua in a different way from now on. I don't know what else to say besides "Amen" or "Praise be to God". Thank you. Hi Greg, it does require a deep rethinking. Insofar as someone wants to go down that road, which they might not want to do, as that road might open up too many cans of worms to make it worth pursuing. All this is just a brainstorm and thought balloon. I tend to use any perspective--from the wildly heretical to the solidly orthodox--that helps me think about an issue. Which generally gives readers theologically whiplash from post to post. Keeps everyone on their toes I'm guessing. I like the possibilities here, Richard. When I was a true blogger, I agonized with these texts again and again. Here's an example: http://preachermike.com/2009/01/06/reading-the-ot-1 Thanks for these open-ended possibilities. At some point, when the amount of open-ended possibilities stack up with the appearance of infinity, I experience a type of exasperation...I suppose one that produces the wonder at what exactly is the point? When does one throw in the towel on puzzle pieces that never seem to fit? And is that even possible, for it seems it would be only trading for some other infinity possible wonderment of a puzzle. "Acknowledgement of God?" What's that but simply surrender authorship of an impossible puzzle? And yet, since I cannot find reason to throw in the towel, I continue to try to put pieces together....I suppose to pass time, I suppose because something of a love emerges from the existential nightmare of the pursuit to know how it all began and perhaps the pipe dream of possessing the great WHY it all began. I suppose I continue because it grows consciousness though to what end its useful to grow such a thing, I do not know. I suppose I like this post, because for a moment, I feel like I have some new hope of something fitting together, a culmination of persistent and courageous questioning about this scriptural topic, but to redefine the inspiration of the scriptures in order interpret or rescue coherent sense, I recognize, means opening the possibility that the Creator perhaps did not provide direct inspiration in a single book alone, or any book for that matter apart from creation itself and the human beings who are apart of it. Indeed the truth about such a book is beyond the book itself, leaving me, once again, wondering what else might be true "out there." to read Friedman's 'The Hidden Book in the Bibile', even if the dates of texts are not the theme of the post. I've found it a really helpful insight that reaches far to Jesus affirmations in Luke 19 about Jerusalem. So the Canaanites were a sacrifice to God? Makes Judaism uncomfortably similar to the native Aztec religion. My sense of that story always was that the reason God rejected this reasoning from Saul was, again, a heart problem - that his intentions in keeping those things out was not pure, and that he only said he intended them for sacrifice when God caught him out at it. I can't remember if that is explicitly stated in the text or not. But regardless, if they had a heart to obey, there would be no need for sacrifice, was the general idea. That's how I read the story, too. That Saul's claim that they were going to sacrifice them was a cover-up after getting caught. Not associated with cherem, but I've always felt sorry for Saul, here: plunder was what the army got paid with, and they were told to destroy it all, therefore no plunder and no payment and the fear of no loyalty. But, yes, Saul's problem was always a heart (and fear) problem. Wow. Yes, yes, yes! You have nailed it! This is the way I am teaching and writing about cherem from now on.